Enjoy beer here, or to-go in a GROWLER! 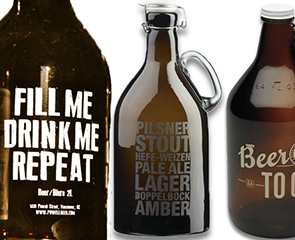 A growler is a 32 ounce or 64 ounce glass jug that we fill with your favorite beer for you to take to-go. 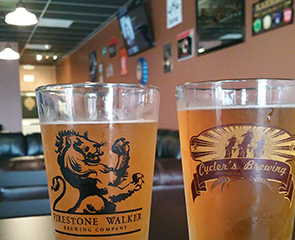 Here at The Growler Spot, we always have something going on! Our beer goes straight from the keg to you! This ensures you have the freshest, best tasting beer to take home. We offer a variety of craft brews from many Texas breweries such as Baa Baa Brewhouse, Brash, No Label, Austin Eastciders, Sigma, St. Arnold, Saloon Door, 512, Live Oak, Real Ale, Fulbrook Ale Works, Spindletap, B52, and Southern Star, as well as a few others from out of state. 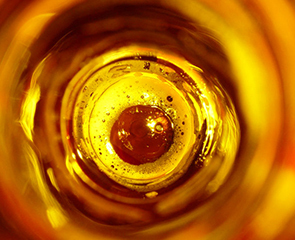 To satisfy the tastes of all, we always have a variety of styles to ensure we have the right beer for everyone.